We're Makin' It Cute at the Fat Quarter Shop! We have a lot of special guests today to feature the NEW Makin' It Cute Petal Pack by Me and My Sister Designs and It's Sew Emma. 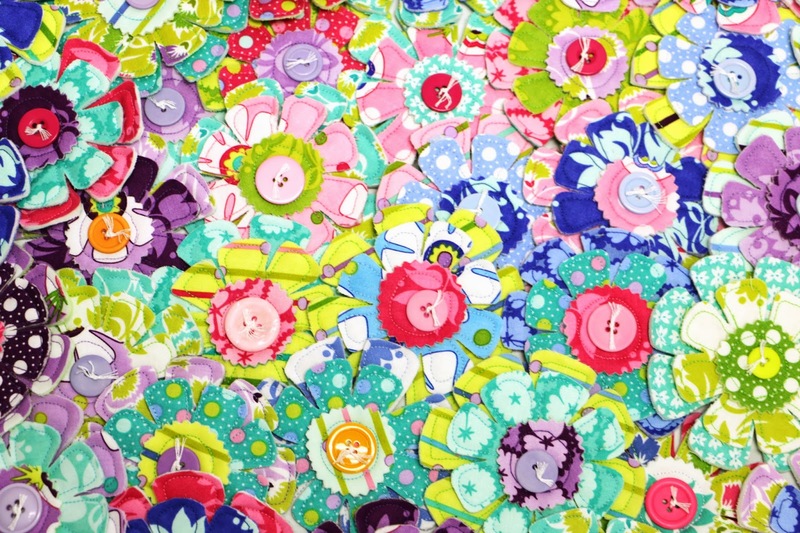 These Petal Pack templates are great to embellish quilts, bags, scrapbooking projects, even headbands and apparel. The Petal Pack comes with five stencils that are great to use individually or layered together. They are also the perfect size to cut from 5-inch Charm Packs and scraps. 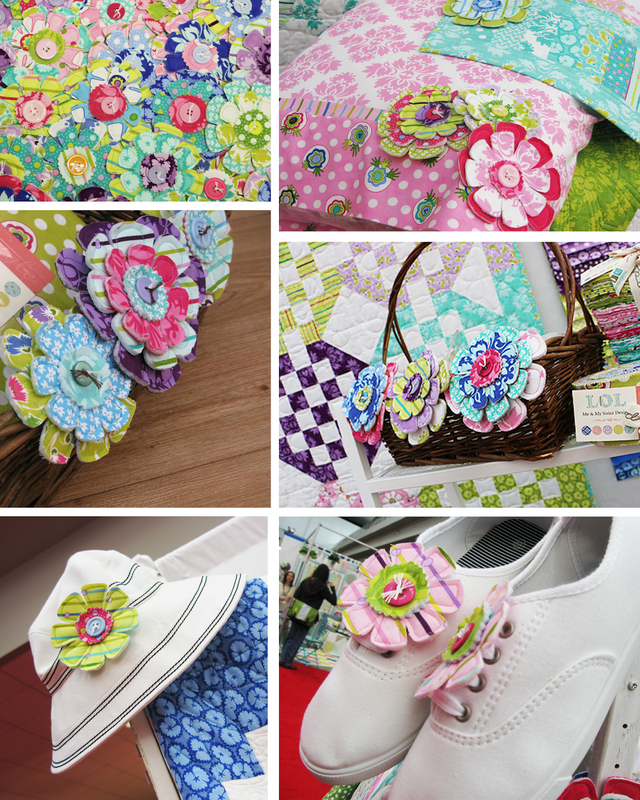 Here are some examples of different projects that Barb and Mary created with Makin' It Cute during the 2014 Spring International Quilt Market with their upcoming LOL collection for Moda Fabrics. 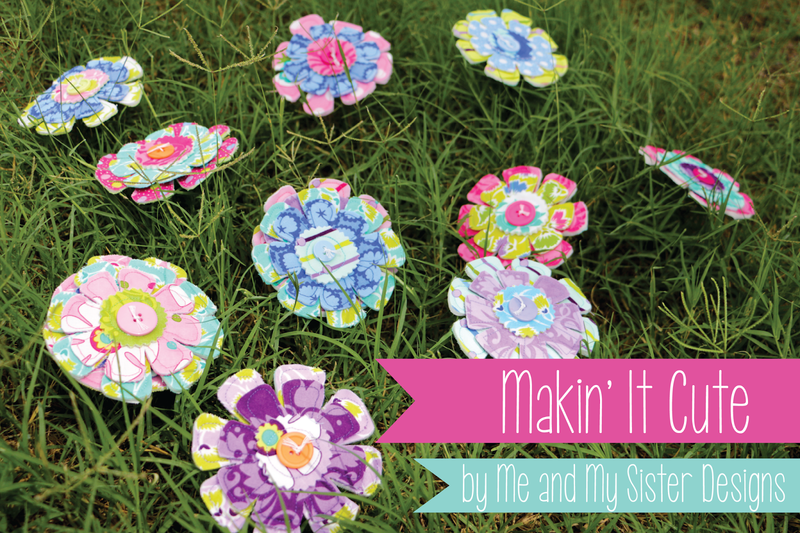 Want to learn how to use the Makin' It Cute Petal Pack? Barb and Mary will show you how in this video! We've asked some of our favorite designers and bloggers to create their own Makin' It Cute projects. Want to see what they've come up with? head on over to their blogs below! The possibilities are endless when you're Makin' it Cute!